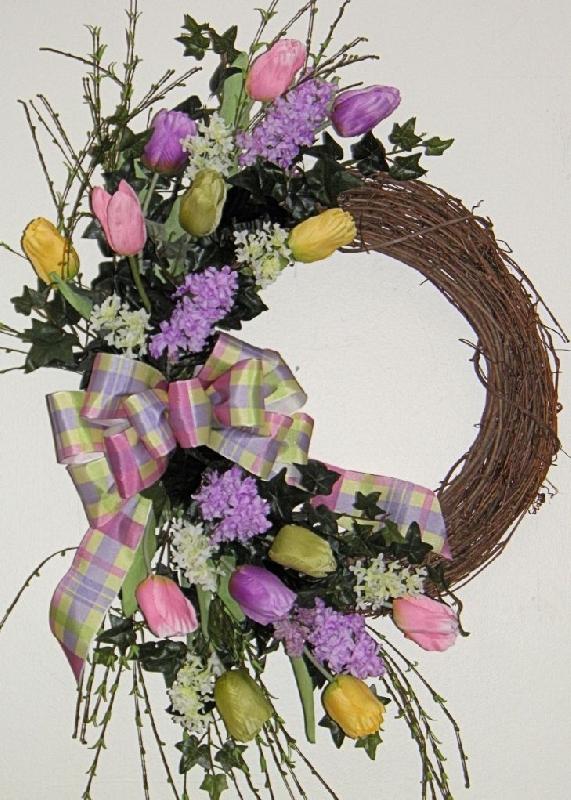 Celebrate the first signs of Spring with this cheerful wreath. 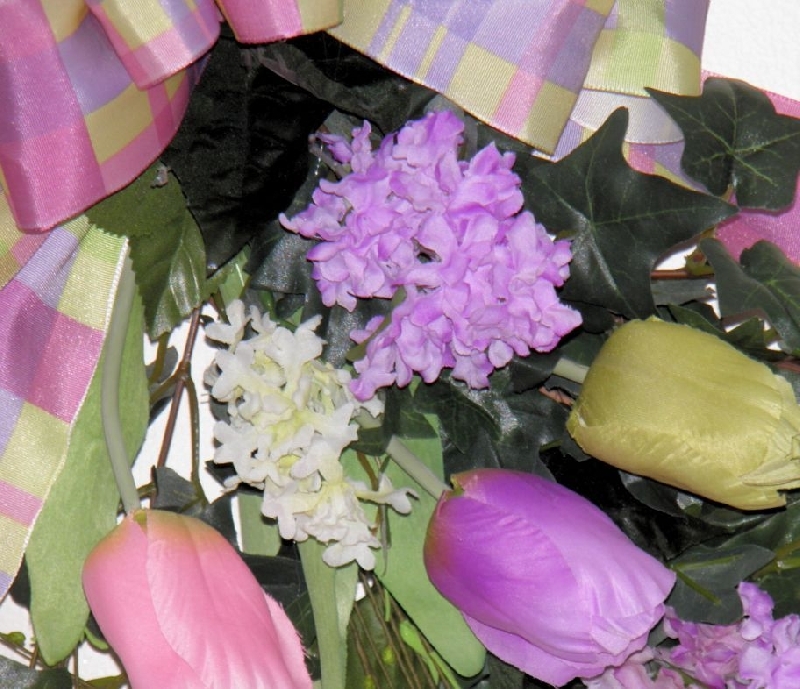 Soft shades of pink, purple, green, and pale yellow tulips, white and lavender lilacs, green ivy, grasses, and a perfectly plaid coordinating bow. 20" wide, 25" tall. Some sprigs may extend out a bit further.